Pleasing lot of JD McCarthy and b/w photo postcards. 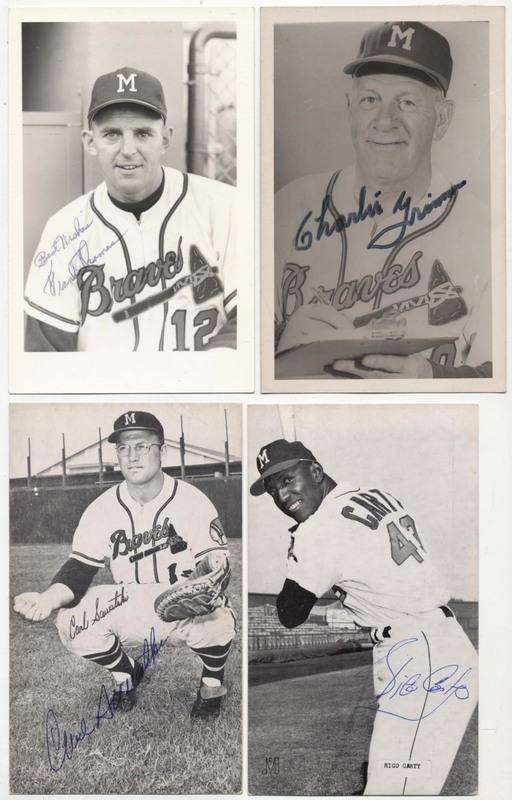 Players are from the late 1950s through the 1960s, there is no duplication. Content includes Grimm, Carty, Sawatski, Jones, Logan and Roselli. The autographs vary in darkness, some are signed on the back. JSA LOA.